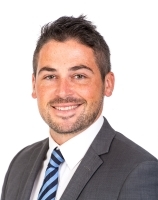 Dan has significant experience working with local, national and overseas private and corporate clients (including property and business owners and developers), government business enterprises and state-owned corporations. He provides advice on property acquisitions, disposals and development, due diligence, commercial and retail leasing and large-scale community housing transactions. Dan also has experience in finance and security, acting for banks, other financial institutions and lenders. His expertise includes advising on risk allocation, development and ownership structures, finance and security arrangements and subdivision issues. Dan has been recognised as one of the leading property and real estate lawyers in Tasmania with Page Seager’s Property Group achieving a first tier ranking amongst firms practising within the areas of transactional and real property. Dan has a strong reputation for providing strategic and risk management advice in a timely and pragmatic manner. undertaking sales and acquisitions, and commercial and retail leasing on behalf of state-owned corporations. Dan regularly provides training and seminars to clients and commercial agents across the State. He is the inaugural Chairman of Tasmanian charity Speak Up Stay Chatty and he sits on the Board of a number of other not for profit entities and development funds.